After teaching the same freshmen composition course 25 times over the past four years, I have found my sweet spot in the way I set up my class. I pull back the curtain here and let you inside my thought process for how I structure this course. So far I have taught four different levels of composition, and if I could get away with it, I would offer the same syllabus at every level but emphasize different aspects of grammar, punctuation, and rhetoric at each. I don’t do that, but it should help you understand how much I love this specific level. This is a four unit course that integrates reading and writing to meet program requirements. Below is my syllabus for my freshman composition course. In addition to seeing the essays, I also provide links to the articles if they are available online. I’ve used a variety of readers in the past, but find what works best is giving students access to free essays and requiring the text Writing With Style by John Trimble, in addition to the novel, Hard-Boiled Wonderland and the End of the World by Haruki Murakami. I break up my semester into three different units, but each unit builds on the next. We start with reading the novel, since it’s a lot of reading. Because I want to finish it within five weeks, I assign 8 chapters per week for the typical 16-week semester. For some, this is a piece of cake, but for others, it’s more reading than they have ever done. I typically require a lot of work on the front end and lighten the load toward the end of the semester. Students adapt quickly, and I find if I set my expectations early, they tend to jump on board. The Unconscious by Sigmund Freud is foundational for discussing the unconscious. Even though Alfred Birnbaum translates it as subconscious in the novel (this is a frustration for a different post), he is really discussing the unconscious as defined by Freud. It’s important to read the original gangster of the mind himself. Students learn about the superego, ego, and the id, which is probably something they’ve only read on a handout in their Psych. 101 classes. This text teaches my students the circumstances of the protagonist in Murakami’s novel are actually far more complicated than they might have first assumed. I mean, hey, it is a Murakami novel. Everything seems pretty weird. I also allow students to read “A Course on General Linguistics” by Ferdinand de Saussure (or technically Saussure’s students), so they can begin to understand how language works. The reading is optional, but I do give a general overview of semiotics in a lecture, which we build the rest of the semester. Because the novel is one giant commentary on memory, I would like to find something about memory as I move forward with this class. I am considering offering an optional chapter of Ricouer’s Memory, History, and Forgetting as I work through it myself, but am not sure yet. Any suggestions are welcome; please leave them in the comments if you have them. What is language and how does it work? In addition to reading the essays below, students are required to choose an image to analyze, research, and compose an essay of their own. This unit begins by reading the master of the binary separation, Plato. We read his cave allegory and discuss what this extended metaphor is suggesting about appearance and reality and why language is just as problematic as the shadows on the wall. In class, we usually act out a lot of the dialogue between Socrates and Glaucon, and if we have time, I like to show them the Allegory of the Cave in claymation. The next essay is “Regarding the Pain of Others” which is a chapter from the book of the same title by Susan Sontag. She discusses the role of the media in portraying violence and what the representation does to manipulate and influence reality. She seems heavily influenced by Baudrillard and barely mentions him in her book. I introduce students to hyperreality, which piggy backs on Plato, but hits so close to home for these digital natives that they wonder why it is even a theoretical concept or something someone thought they needed to name. This paves the way for reading “Is Google Making Us Stupid?” by Nicholas Carr, which he later turned into the book, The Shallows: What the Internet is Doing to Our Brains. If you haven’t read this, check it out. It’s an important commentary on the ways technology influences and alters the world as we know it. These kinds of arguments are typically outdated pretty fast, but his examples reach back into history and remain timeless. After reading Carr, we are all feeling pretty bad about ourselves, so I throw in “Watching TV Makes You Smarter” by Steven Johnson. So many people believe watching TV and video games rots your brain, but the author contends with that by explaining how it is in the economic interest of the writers to keep narratives so complex that viewers would watch a series more than once to pick up nuances they missed during their first viewing. Because of this, watching TV requires more mental gymnastics than previously thought. After looking at the ways technology changes society, we look in the mirror at how the constant connectedness changes our relationships when we read Sherry Turkle’s “Connectivity and Its Discontents.” It’s a short piece, but paired with clips from her TED talk, it sparks a great conversation and allows students to really think about how they are re/presenting themselves online and what this means for their relationships. This allows us to set the stage for Cathy Davidson to explain how she helped Apple hijack the 2003 incoming freshmen at Duke by giving them an iPod and suggesting they use it for educational purposes. She gives the rundown in an article called, “Project Classroom Makeover.” If any student at Duke could convince their professor to use the iPod in their course, then the rest of the class would get one free. In class we look at old pictures of the first generation iPods and laugh. We talk about how much has changed over the last decade-plus. Students discuss the way professors use technology in their classrooms and whether its effective or not. The next article is a complete 180 from the tech conversation and you’ll see why. Mark Edmundson’s article, “On the Uses of Liberal Education” actually comes from his longer work Why Teach? In Defense of a Real Education and he makes a passionate argument for the mind-bending, life-altering pursuit of education that used to be. Those were the glory days. Days I have only read about in books and seen in movies like Good Will Hunting. The change in education that is fueled by technology often errs on the side of entertainment. Edmundson vehemently challenges that while admittedly trying to make his students laugh. After discussing these two articles, we spend a day preparing for a debate. I will break this down at a later date, but the debate centers on different approaches to education loosely based on Cathy Davidson’s and Mark Edmundson’s approaches and causes students to ask why they are pursuing a degree. What is language, how does it work, and why does it work? We begin this unit by reading the greatest activist of the 20th Century, Martin Luther King Jr. His “Letter From Birmingham Jail” is such a fantastic piece of prose and employs a variety of rhetorical devices that make it so powerful. Students tend to appreciate reading his work because they are usually only familiar with his “I Have a Dream” speech. MLK Jr. sets the stage for us to talk about the first chapter of Simon Sinek’s book, Start With Why. Sinek refers to some of the most persuasive people in the last 100 years and believes they all share one motivating factor in common: a deep sense of purpose. This is something Martin Luther King Jr., Steve Jobs, and even the Wright brothers share. Sinek’s TED talk is well-known, and in addition to students understanding the purpose of their writing is central to communicating their idea, Sinek also provides excellent examples, or evidence as composition teachers like to say, for his argument. The next essay is a chapter from Daniel Pink’s book, Drive: The Surprising Truth About What Motivates Us. This functions on many levels and it is probably the most important lesson of the semester. Students learn the difference between intrinsic motivation and extrinsic motivation. We relate it back to our education debate and discuss the different styles of motivation their professors use. It’s all very self-reflective because they again question why they are pursuing a degree. The discussion on intrinsic motivation is paramount to what I feel my central purpose for the course is: encouraging students to read more. I do my best to encourage them to read beyond professors require of them in school. When I started teaching composition, I thought my job was to teach students to write better. I soon discovered how empty this was. I found that if I could somehow open their eyes to what reading can do for them, then I will actually change their lives. And what’s more, they will end up writing better anyway, which I do think is important. I suppose I feel a certain responsibility to them in this way. I mean, really, that’s what inspired me to start this blog. Their activism project is pursuing something they are passionate about and convincing others of it, and these readings are superficially informing this pursuit, however, I consider the personal reflection far more important to their education. 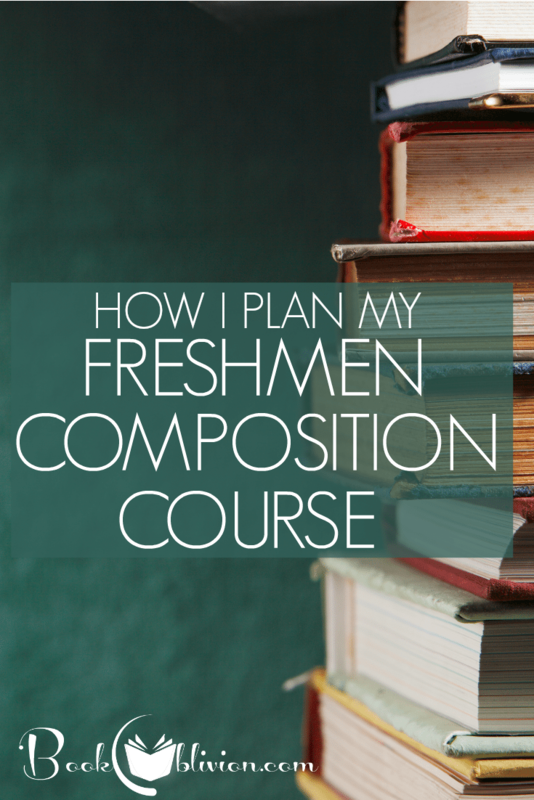 So there you have it, a run down of my freshmen composition course as it now stands. I alter it every semester, but am really pleased with where the outcome and how engaged students are with the material. So your turn, what do you think I’m missing? Did you read anything as a freshman that really stuck with you? 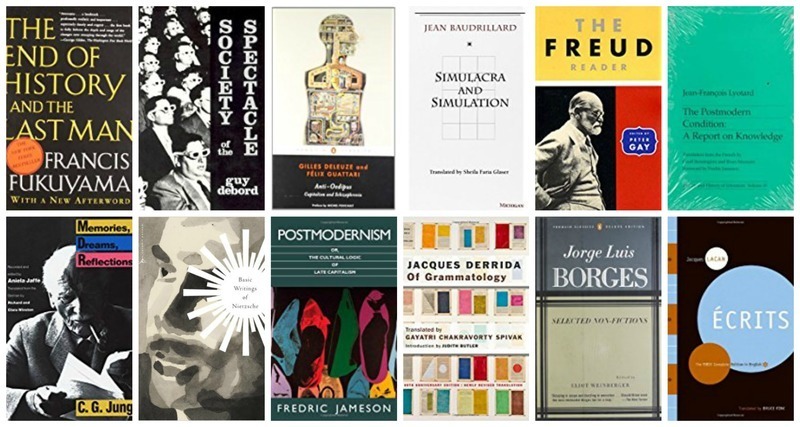 Join our newsletter to find out more about our Literature and Philosophy reading groups and mini courses. Success! You'll find out more soon! Great article. I have picked up a few books from your list that I hadn’t encountered before. The book I read in my first year at college (we don’t call it Freshman here in the UK but I assume that’s what it means) is Roland Barthes Mythologies. I thought it might fit around the section of your course where you introduce Saussure and Plato. That’s great you were exposed to Barthes so young. I didn’t meet his mind until later in college. I should definitely add him to the list. You’re right- he would fit nicely. Thanks for reading! I added a few of your suggestions to my own ‘wishlist’ on Amazon; thanks. I’m so glad. Definitely let me know what you think of them if you get a chance. I love this, and would love to use some of these ideas. Do your students do an essay or project in the first semester? Thoughtful construction of the texts presented in this composition. I remember how my freshman composition class was laid out back in 1993 with a similar extraction of snippets from books and research; the construction then was less heavy on contemporary media and the digital world as it exists today … the focus went more heavily in a literature route. I’m intrigued. Matt of Matt and Lynn Digital Blog. It’s such an important piece. I’m glad you took the time to consider it. The veterans in my class appreciate this article on a deeper level, which has been need to discuss. Yes, students write one essay for each of the units listed above. They choose an image and create an argument, choose an activist topic to research and write about, and choose from a list of questions regarding themes and topics that emerge in the novel to explore. Their final exam consists of seven different questions that require them to articulate, synthesize, and differentiate almost every article I assign; they do this in short essay responses. It’s all reading and writing here. I often pair Stuart Jeffries’ “Think Digital Distractions Have Killed Our Attention Spans? Think Again” with Carr and have them write a comparison of perspectives — essentially, a synthesis. I like the message of that article, that we are seeking long form fiction (evidenced by Millennials reading much, much more than previous generations) and complex TV series to give our brains a respite from our fast-paced digital world. I’ll check that out. I’ve been wanting to replace the Steven Johnson piece for a while now. It’s just too outdated because the long form narrative tv series it mentions were mostly on before these students were born. I like the point it makes about wanting complex narratives, though. Hopefully that Jeffries piece will be a good fit.